For those demanding the best we now offer our best selling Adjustable Ultra Plush mattress made with 100% natural talalay latex and we are throwing in our natural Bamboo quilted cover upgrade FREE! This is a tremendous value when you consider you are getting nothing but the best through and through. Not only will you be getting the highest quality latex on the planet but it will be from top to bottom. In addition the cover has 1.5 inches of pure natural Joma Wool for added comfort and flame resistance found in this natural component. This King size mattress finishes at approx. 9" thick. This model is our most popular choice because you can choose the same or different latex core firmness layers to get the perfect feel for both you and your partner. This is especially nice when a couple has a large weight discrepancy between them. The more you weigh the more support is needed. Core firmness layers available in soft (#28), medium (#32), and firm(#36). Each King size mattress consists of 2 core halves of latex (watch video). 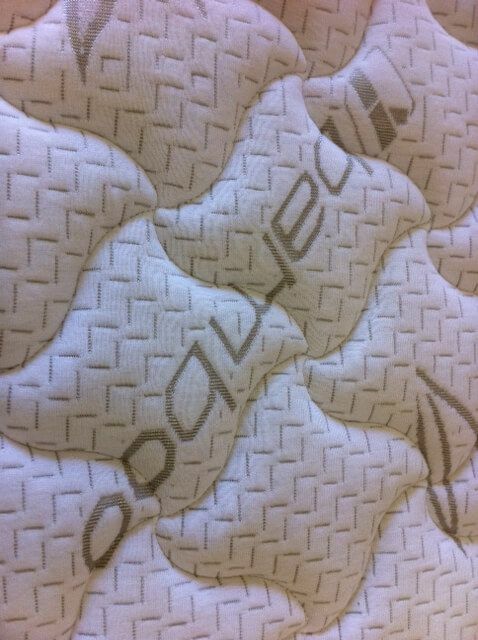 The 2" Talalay latex topper is super soft (#20-24 ILD) and lays over the 6 inch Talalay core of your choice. 3" topper upgrade now available in #20-24 and #25-29. Choose #20-24 for side sleepers and #25-29 for back and stomach sleepers. These mattresses are designed to ship UPS. Use your existing firm King size box springs, foundations or platform! Cores are easy to exchange via UPS if you desire a different firmness. 60 day satisfaction guarantee. Returns and exchanges are subject to standard UPS fees! 20 year limited warranty. Assembly is easy, just slip the cores into the zippered cover and add the topper then zip. If a firmer feel is desired just reverse the latex layering so the topper is under the cores. Mattress is 9" thick. Slip covers in matching fabric available for your box springs. Call for pricing. Please select UPS as shipping method when ordering! Check out our KD Wood Foundations if you need to replace your old one.